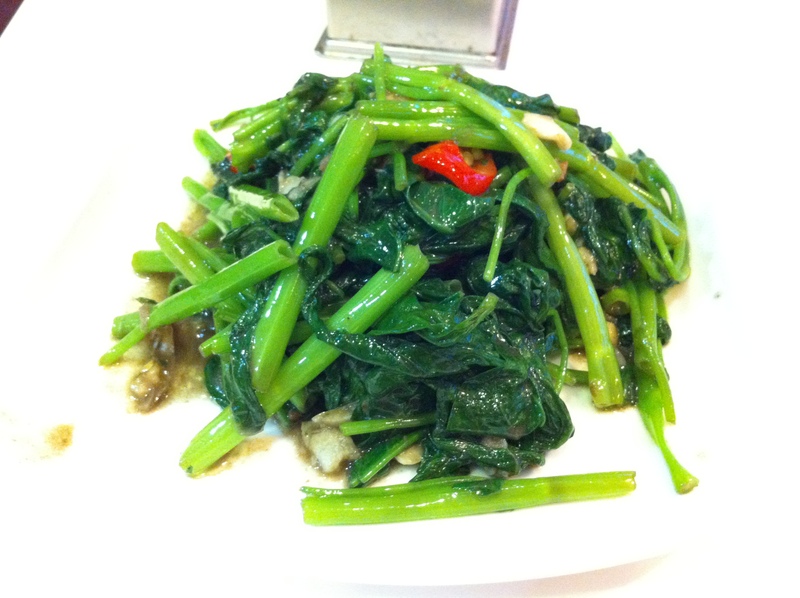 Hong Kong – Tai Hang | faim? oui oui!!!!!! 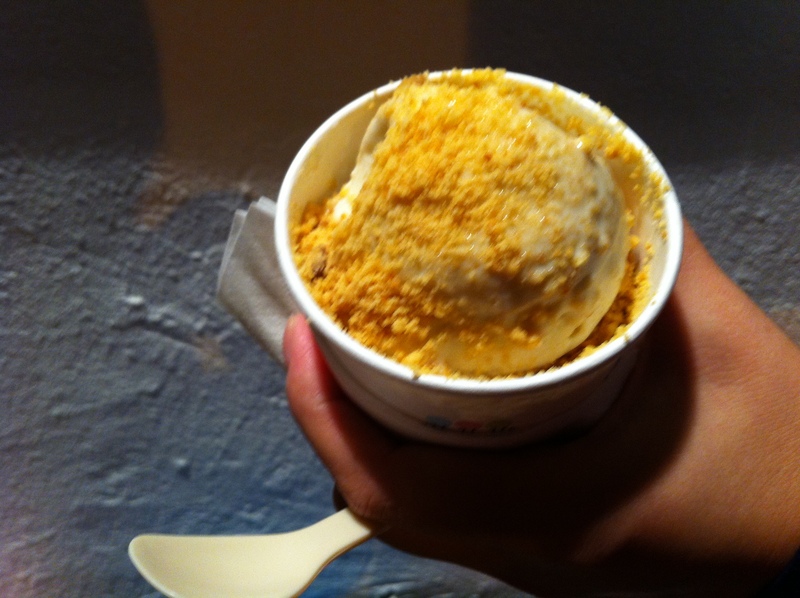 After dinner at Daruma, we walked around Tai Hang looking for some dessert. 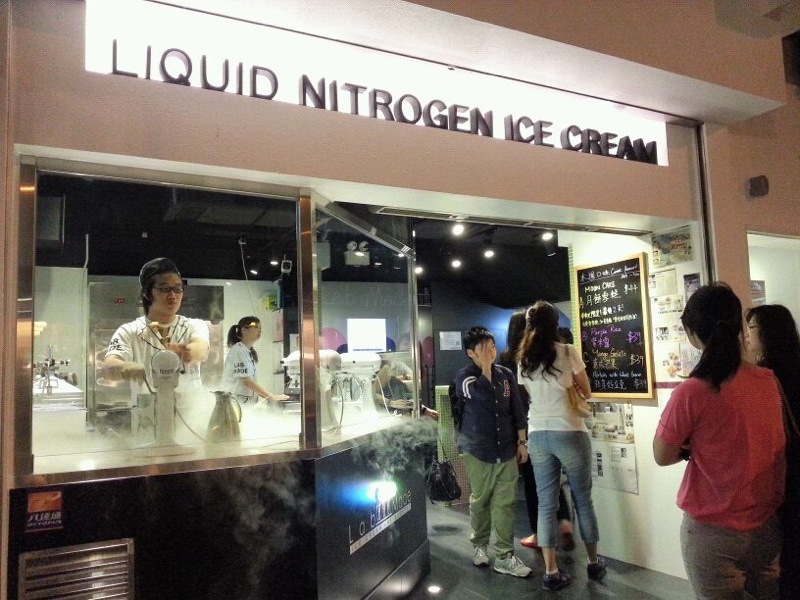 There’s quite a few dessert places but we chose Nitrogen Ice – Cream because of its foodie science geekiness! It really is a gimmic… using nitrogen to make ice-cream.. nothing new there….we used to do this in high school science labs! Please excuse my blurry photo.. I was too excited to try the mooncake ice-cream! It actually tastes like mooncake and wasn’t too sweet. Weirdly, after a few bites, I can taste a bit of bitterness…..
At $44, it’s a tad too expensive for some designer ice-cream! 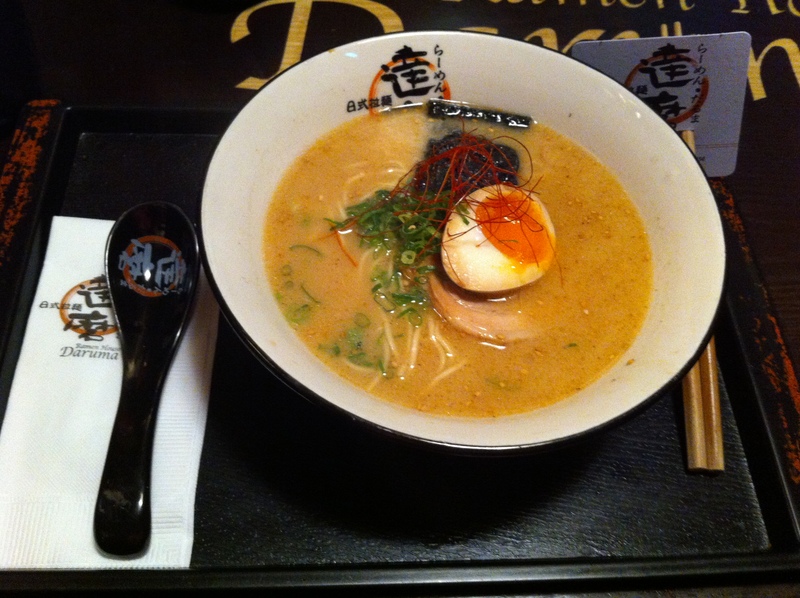 I immediately went on Openrice and found Daruma Ramen House, which was ranked #2 in Tai Hang. 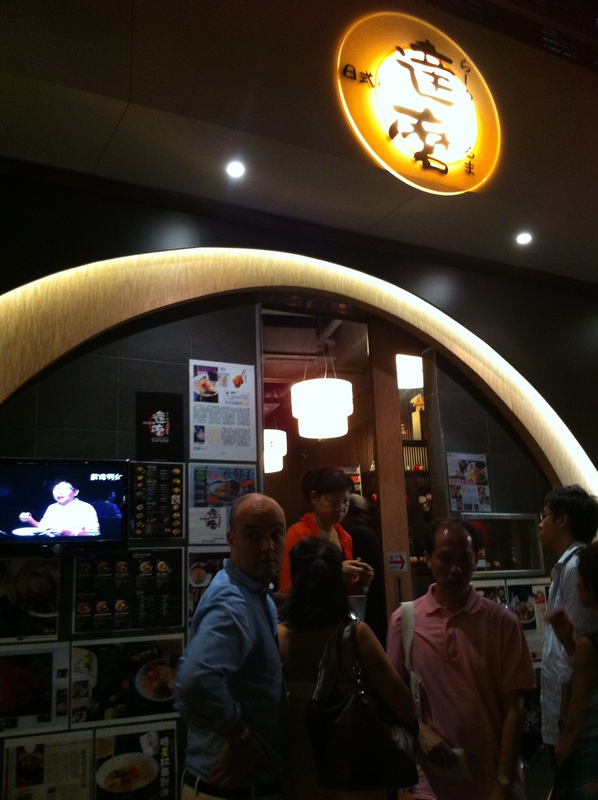 From all the magazine articles and celebrity autographs on the wall tiles, this must be a pretty famous ramen place! I ordered the R7 (original non-spicy pork bone ramen)…. Portion-wise, this was on the smaller side.. with only 1 piece of meat and not a lot of noodles. On the plus side, the soup is extremely tasty and the ramen comes with an half boiled egg! My brother and I met up with my foodie aunt for dinner in Causeway Bay and she then surprised me with our dinner plans: dinner in Tai Hang! Tai Hang, nestled between Causeway/Tin Hau/Happy Valley, is becoming a hipster district with a lot of food places.. I’ve been wanting to go but it seems so out of the way! We had dinner Man Sing Cafe 民聲冰室, an old-school restaurant that is frequently visited by local celebrities (as evidenced by walls taped with celebrity photos). 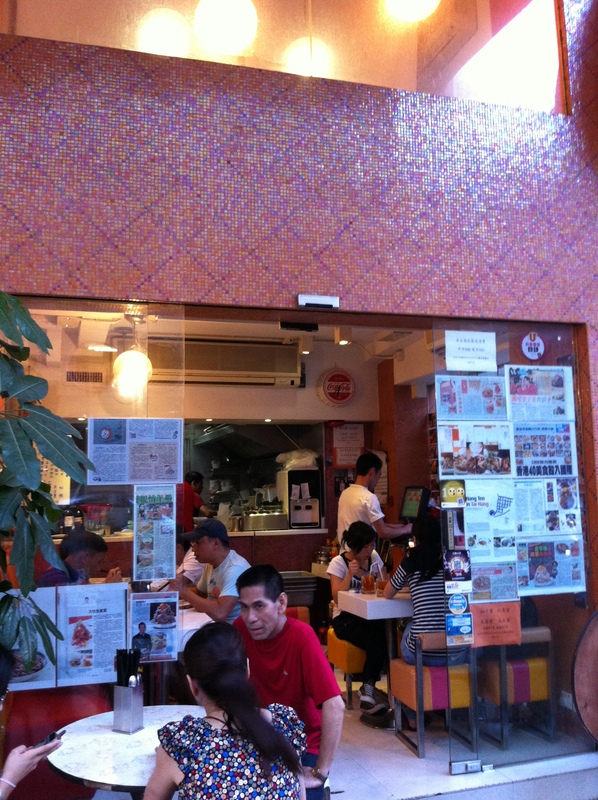 Thank goodness we went early because the cafe only has 3 tables inside and there was already a small lineup at 6:30pm! 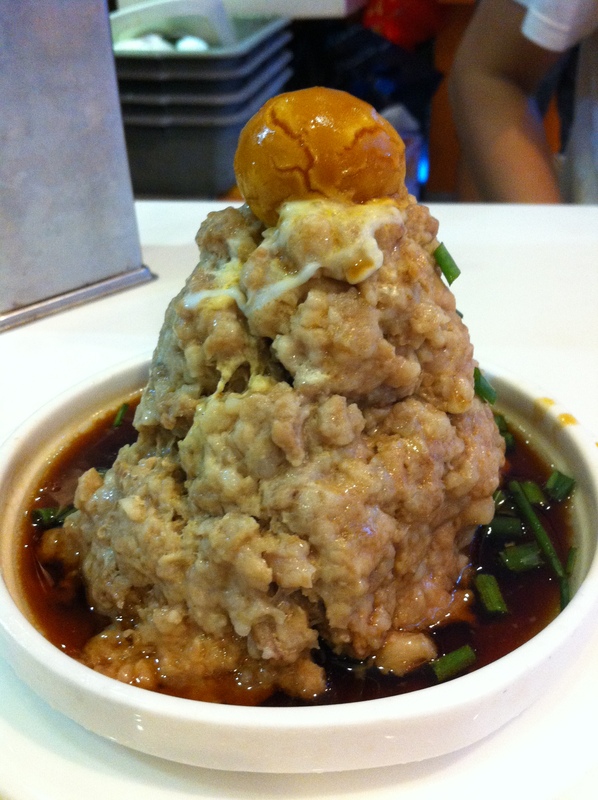 steamed pork patty tower topped with salt-cured egg… My mom makes one of the best steamed meat patties but this tops it! The meat texture is the same.. but this version has the best sauce! 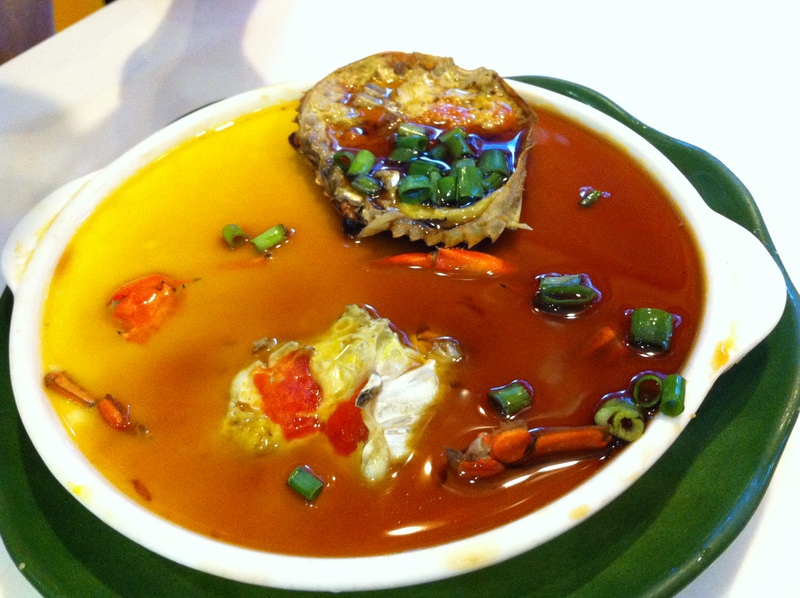 steamed egg with crab….. and again, this tops my mom’s steamed eggs cause of the sauce. The crab had a lot of roe! Yumm! 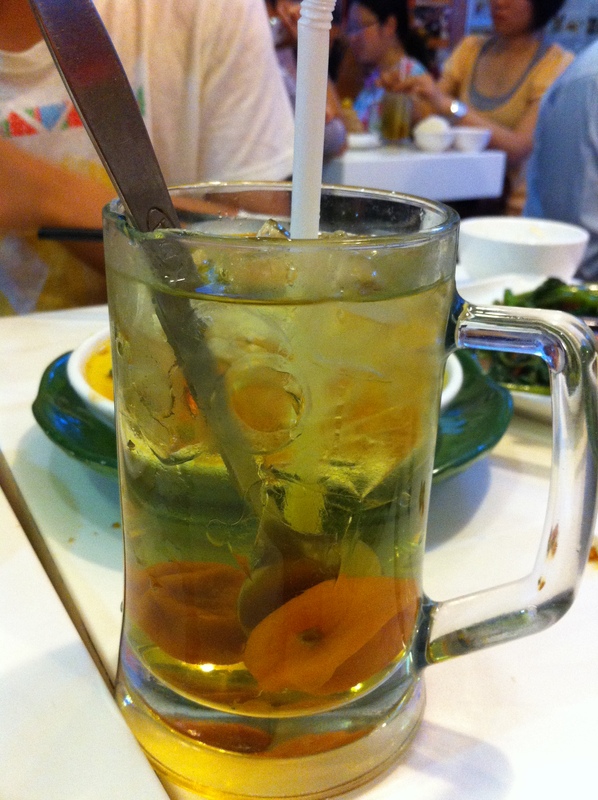 Tai Hang will probably be my new foodie hang out place in the new school year!